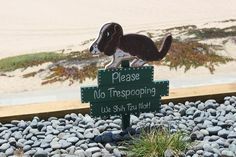 Think Like a Dog, But Don’t Eat Your Poop! Golden Retriever Training: Begin training from the day you bring home your Golden and it will benefit you throughout the lifetime of your dog. Eager to learn and obey, when proper Golden retriever training is applied once properly trained they truly are a dream dog to have as company. Golden Retrievers are quite friendly dogs that love to greet everyone; they can have a tendency to jump up as a greeting. Athletic, and of large size and strength, jumping should have focused attention and training to let them know that jumping on humans is unacceptable behavior. Keep in mind that Golden’s can continue to behave as teens into year two or even three, and during this time, it could mean needing to put in just a little extra to reel in their abundant enthusiasm. Hurry! 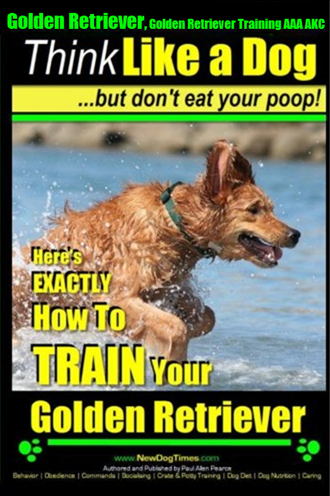 Order this affordable, fun reading, easy learning delight in How to Train Your Golden Retriever! Now that is sound advice! Peculiarly stated, granted, but sound nonetheless. Get this book today. You’ll be so glad you did. 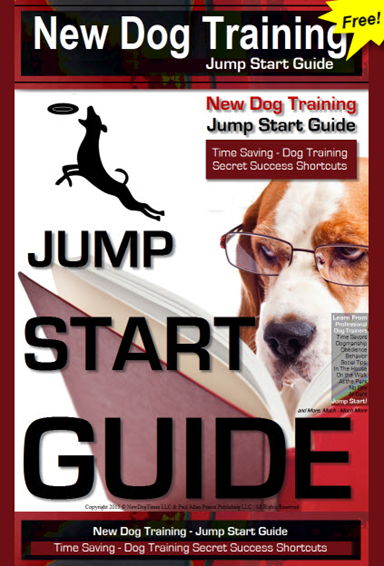 (Includes your Free Bonus Copy of the New Dog Training~Jump Start Guide) This is what all dog owners MUST READ before they just start training their golden retrievers. It is packed with key stuff most guide completely leave out. Not because they are lazy, but because they haven’t been asking the right question direct from several top rated professional dog trainers. 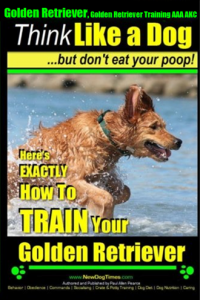 “A Powerful Short Cut and key Information Report on Your Golden Retriever” – Your’s Free for buying my book about Golden Retriever Training. Golden Retriever Training Continued: Always supervise when children are playing with your dog and teach children proper dog etiquette, such as how to identify that a dog is becoming too excited to continue playing. Equally, teach your Golden what is acceptable play behavior. A caution regarding biting, some lines of Golden Retrievers will tend to bite more than other lines. 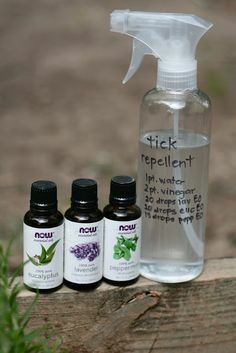 This is easily diminished when you take alpha control of your dog and teach them not to bite or mouth humans. The Golden is a rapid adopter of this command, as well as others. They quickly learn, adopt, and remain obedient their entire lives. Begin Golden Retriever training in least distraction areas and properly exercise your dog so that they are not too energized to focus during training sessions. 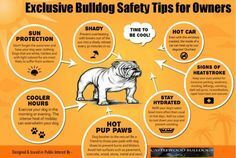 Quick learners that are able to learn and retain through rewards training, diligence, combined with leading from the alpha position and remaining consistent in rule enforcement and schedules should enable you to train your Golden with relative ease. Golden Retriever Puppy training; Gradually begin socializing your puppy from the time you bring him or her home. Proper early socialization that continues throughout your puppy’s lifetime will provide you with a well-adjusted dog that is able to handle almost any situation in a calm manner. Early, thorough, and continual socialization is important for your Golden Retriever. When training your Golden, its best not want your dog being territorial and wary of strangers, so it is important to expose them early to a variety of situations, animals, people, and places. 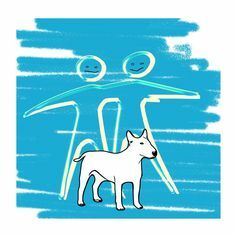 Socialization benefits you and your dog by providing you both with peace of mind. With good socialization, you can expose your Golden Retriever to different situations with the assurance that he or she will look to you for guidance in rules of etiquette for the indoor and outdoor world. Socialization is the foundation for all well-adjusted dogs throughout the lifetime regarding Golden Retriever Training. An effective incentive in training your Golden retriever is to make everything you do seem fun. Always refrain from forcing your Golden retriever puppy to do anything they do not want to do. Highly prized treats are usually a great incentive to do something, and you will find that a fun, pleasant, friendly, happy, vocal tone combined with the treats will be ample reward for good behaviors and command compliance. 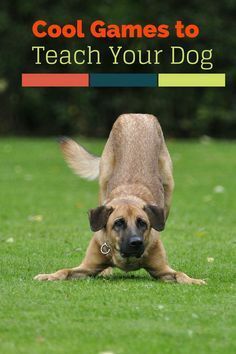 Begin training all new commands indoors. 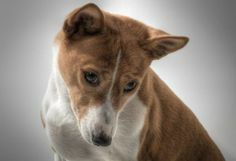 This includes silencing all of your audio-visual devices that act as distractions to dog’s sensitive ears. If you notice any negative behavioral issues, and are not quite sure if you are offering your dog proper socialization and necessary training, do not hesitate to enter your puppy into a puppy kindergarten class to assist you with training and socialization. 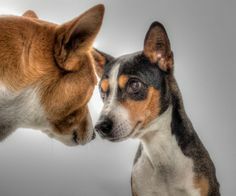 Behavioral issues do not have to be present to enroll your dog into a puppy kindergarten; this assistance will benefit the both of you. Properly research the available classes so that their approach matches your own. The time to enroll your puppy is usually around eight to ten weeks of age, and after their first round of shots, although some kindergarten classes will not accept puppies until they are three to four months of age. Golden Retriever Training the right way: Be sure to always reward good behaviors, but do not reward for being cute, sweet, loveable, or huggable. 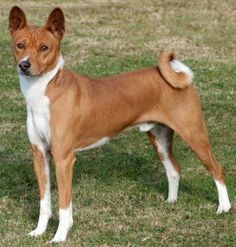 If you wish to reward your dog, always reward after you issue a command and your dog obeys the command. During your training sessions, be sure to mix it up, add a variety of toys and treats, and do not forget to have fun. Remember to provide them with ample daily exercise to keep them fit, healthy, and to keep behavioral problems at away.